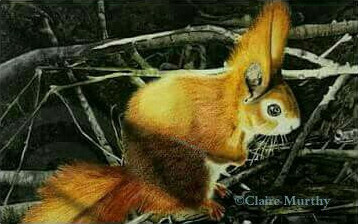 Watercolour Paintings of British Wildlife : Red Squirrel. 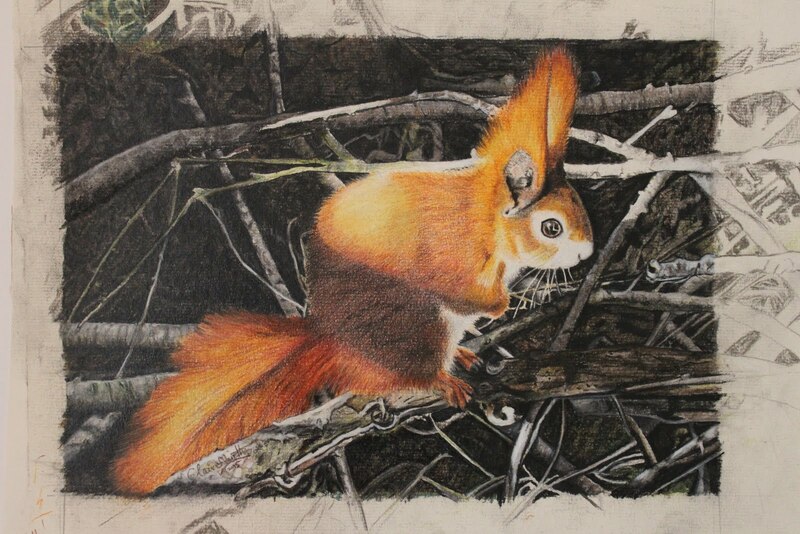 This watercolour painting of one of the most loved of our native British wildlife woodland animals, the red squirrel, was painted immediately following a very detailed and realistic wildlife painting. 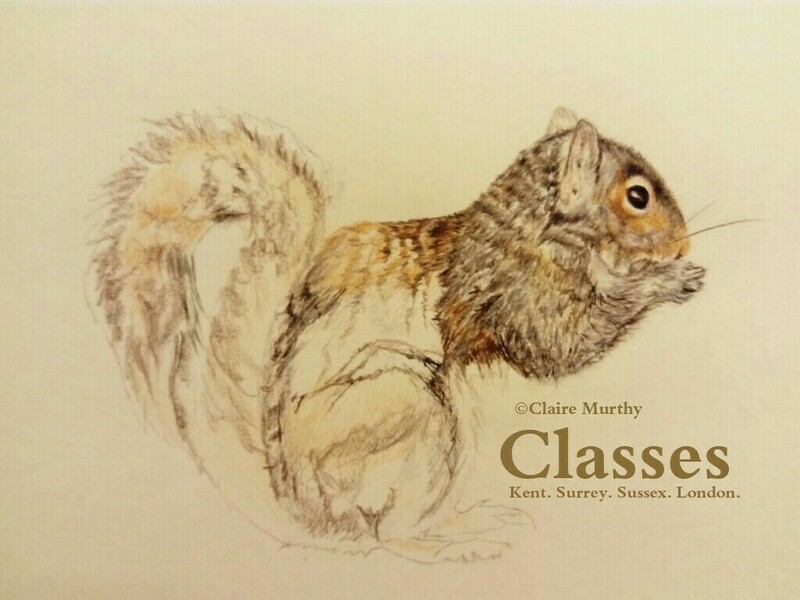 A change is as good as a rest, so it goes, and it was a joy to apply watercolour so freely, having been so precise for many hours, painting intricate details to create a realistic British wildlife watercolour traditional painting. 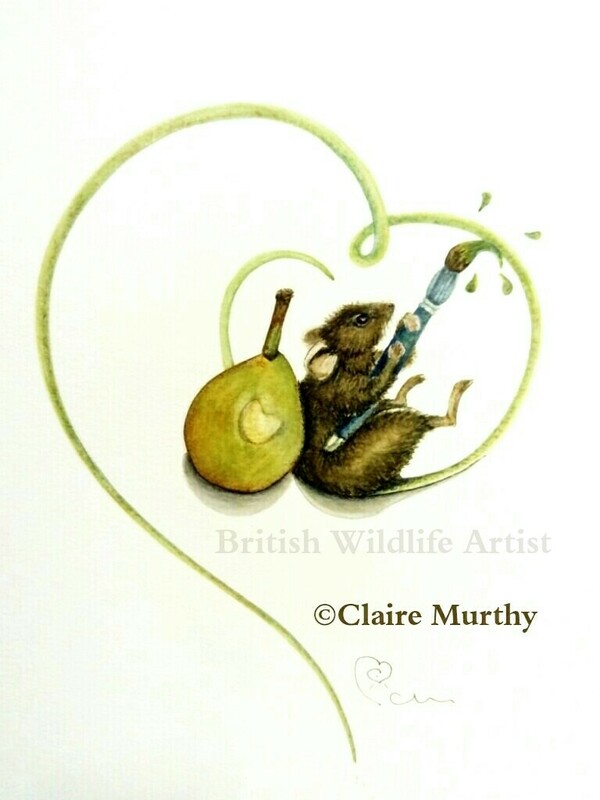 This was one of the first whimsical watercolours from a couple of years ago; after the more detailed work, it seemed trivial to paint such light-hearted wildlife – but it soon became a natural extension of the detailed work, alternating between the two extremes of artistic style, each informing the other. 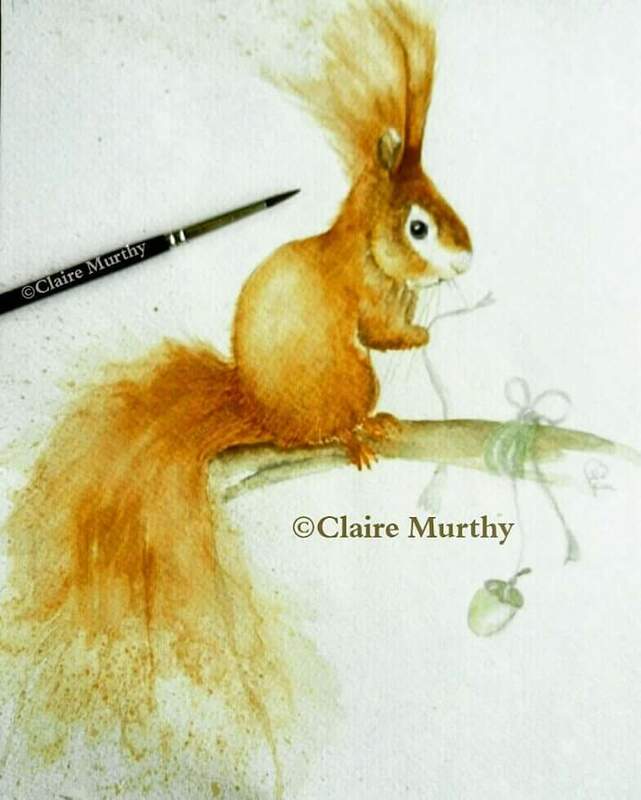 Watercolour Painting of a Red Squirrel. In the Lake District, many years ago, the smallest red squirrel climbed down from an oak tree and paused briefly to look at me, from a few feet away. His tail then twitched as he proceeded to tuck his nose into tufts of grass, following the scent of something that was, no doubt, tantalizing his taste buds. His eyes were alert to my presence, all the while, but he carried on with his actions long enough for several photos and a lasting impression of his silken red fur, delicate frame and bright eyes; bright eyed and bushy tailed is a most apt phrase for such energetic and determined little individuals!